Since my last visit a couple of years ago, some things have changed and some have stayed the same. In an increasingly homogenized and gentrified world, change can be negative. Thankfully, what I saw and experienced in Yucatan was not. Yucatan and its capital Merida have managed to successfully maintain their singular cultural essence and traditions, while simultaneously integrating new elements and contemporary expressions. 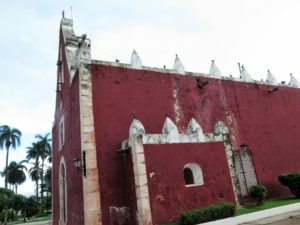 For example, the tropical, colonial architecture of Merida is being restored to honor its former grandeur, yet it also signals the future. Similarly, new restaurants are opening that recognize and integrate the international cultural influences of Yucatan, yet also represent today’s sensibilities and tastes. As Merida evolves, it is maintaining and honoring its past, while also moving forward. 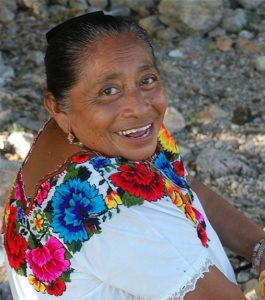 Meeting the Yucatecan Maya people! 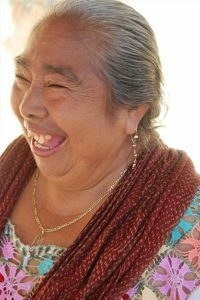 I’m not exaggerating when I say, the Yucatecan Maya people are always smiling! Maybe their slower pace and preservation of their traditions in food, dress, housing, family, community, have something to do with this. You would be hard pressed to find a more welcoming, gracious, hospitable people. This has nothing to do with tourism; it’s the way the people are. 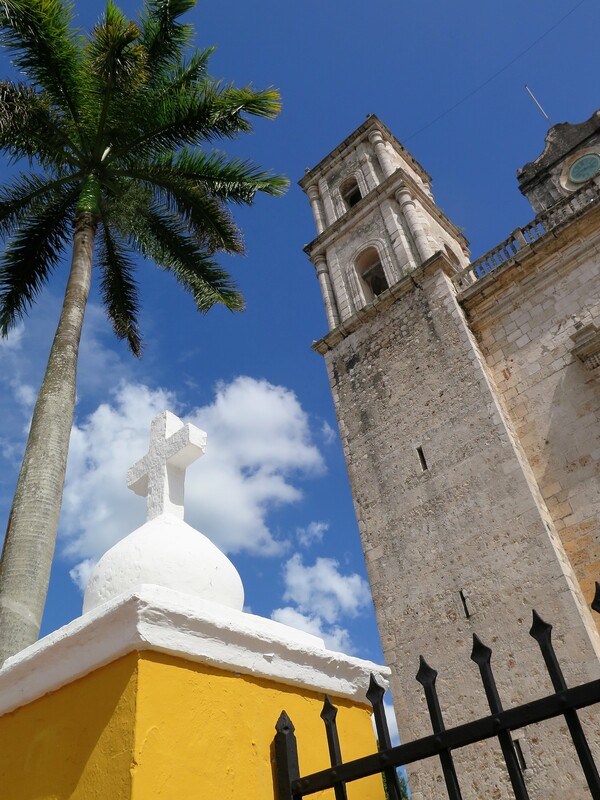 When you leave the large beach resorts and get into the small towns that dot the Yucatecan Peninsula, you can meet and interact with the Yucatecan Maya people, something you’ll never forget. Exploring the ancient Maya past! 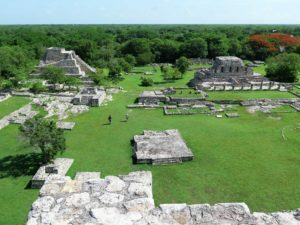 Visiting ancient Maya sites such as: Uxmal in the Puuc Hills, Ek Balam near Valladolid and Mayapan, help us earn about the early inhabitants of this region, during the Classic and Post Classic Era of the Mesoamerican timeline (500 – 1400 A.D). We explore theories of migration and abandonment, as the Maya traveled and moved, perhaps because of drought, warfare, scarce resources, etc. We explore themes such as astronomy, mathematics, architecture, the marking of time, to learn about the great contributions and sophistication of the Maya. Where did the Maya go? Nowhere, they still live in Yucatan! 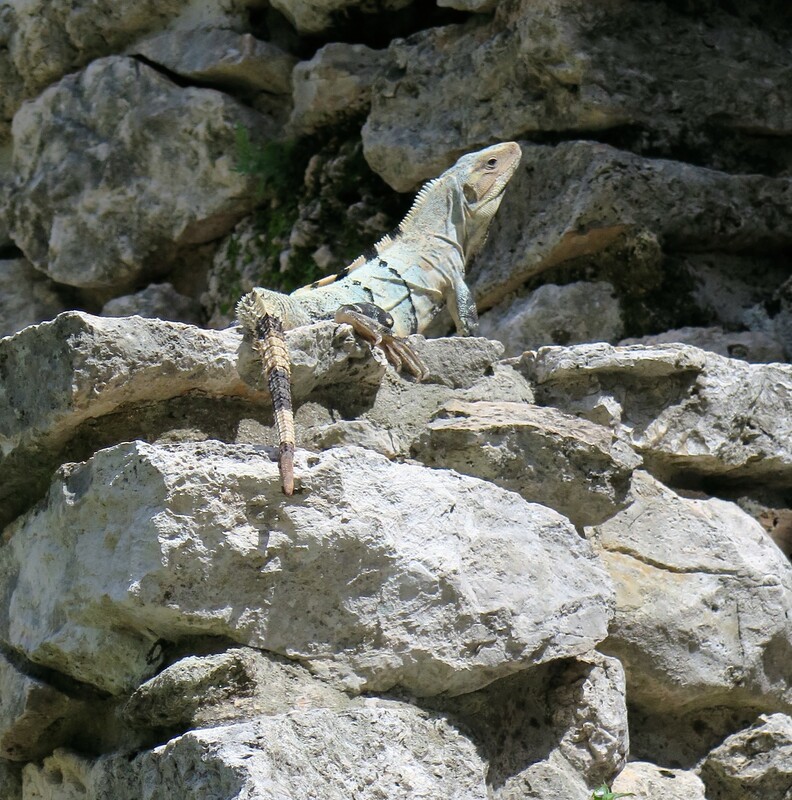 Experiencing the natural landscapes: cenotes and fauna! 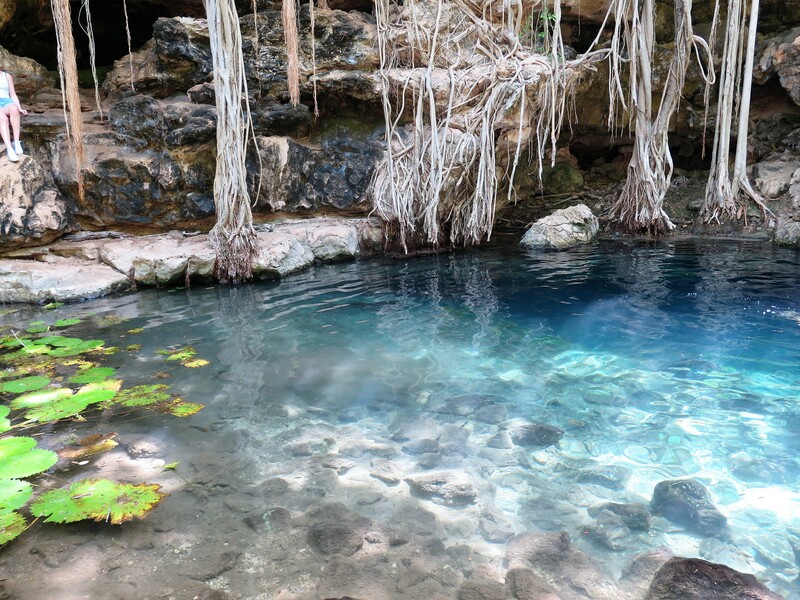 The cenotes (sink holes) that dot the landscape of the Yucatan Peninsula are a hallmark of this region. 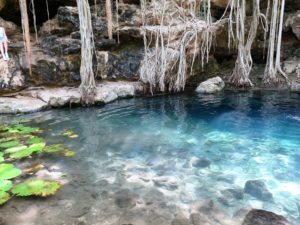 However, they aren’t just refreshing, amazing swimming holes (which they are). Cenotes are created where the limestone shelf has broken away, revealing a vast underground fresh water river system. These cenotes represent entryways or portals to the underworld, in Maya cosmology. The Maya believe in three planes: the underworld, material world and celestial world. Through these cenotes and caves, the Maya people access the underworld, the resting place of their ancestors. Artifacts such as burial offerings have been found in many caves and cenotes in Yucatan. 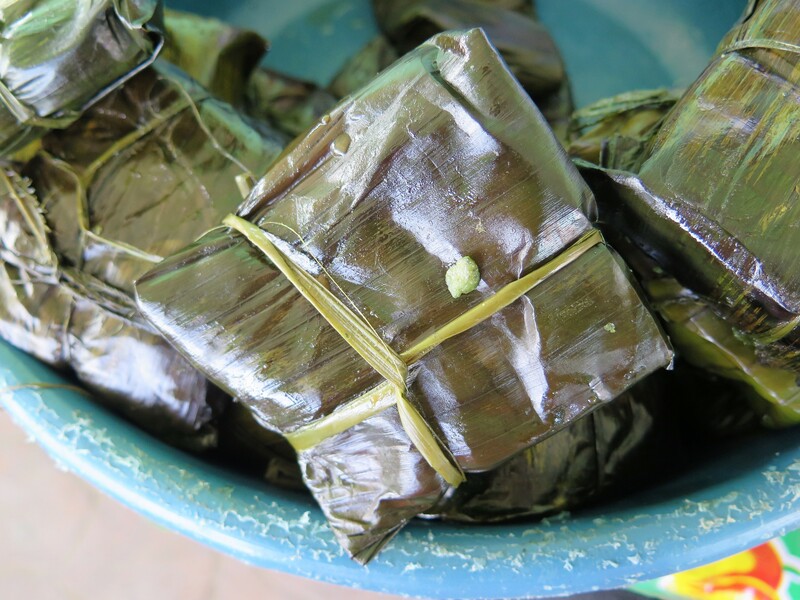 As our travelers soon recognize, the cuisine of Yucatan is not Mexican, it is singularly Yucatecan. Beginning with the tropical ingredients found in the region, such as sour oranges, native pumpkins, ixcatic chile peppers, combined with the cultural influence of the Maya people and their use of corn, beans, squash, peppers and cooking methods such as “pib” underground/pit cooking, then adding international influences from the French, Dutch, Lebanese, Cubans all mix together to create a great mélange of flavors and dishes! The Yucatecan cuisine is unlike any other in Mexico. In fact, renowned chefs such as Noma’s Rene Redzepi have recognized this, and soon will be opening a pop-up restaurant in Tulum! Do you want to experience the cuisine of Yucatan first hand? 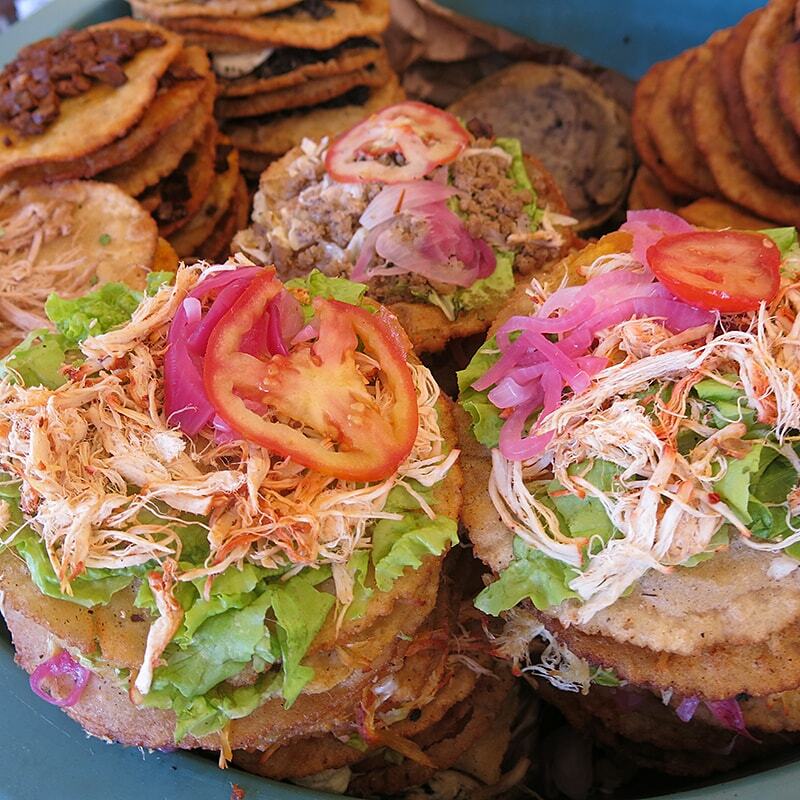 We invite you to explore and savor the cuisine of Yucatan on our Flavors of Yucatan Tour! Enjoying dance and musical rhythms! 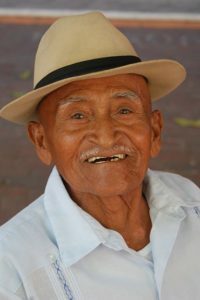 You can’t walk out onto the streets of Merida without hearing danzon and salsa music or see a vaqueria (cowboy) dance! The people of Merida love music and love to dance. On Saturdays it’s “Noche Mexicana” at the Remate (cul-de-sac) of Paseo Montejo. On Sundays, it’s Merida en Domingo, where streets are closed to traffic and people enjoy food, crafts and dancing! On Mondays you can watch the “vaqueria” dance in the Plaza Grande, the main square. Tuesdays it’s danzon and big band orchestral music from the 1940’s at Parque Santiago. On Thursdays it’s the Yucatecan Serenade in Santa Lucia Park, with regional music and dance performances. People in Merida do not live in their homes; they live on the streets and in the plazas, gardens, squares and cafes. Visitors are welcomed and easily co-mingle with this wonderful and vibrant life in Merida! Learning about and purchasing crafts made in the region! 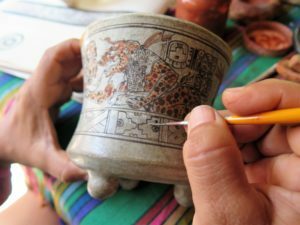 From hand painted ceramics, carved gourds, woven hammocks, embroidered huipiles, linen guyaberas, and sisal handbags, the crafts of Yucatan are extraordinary. We realized this on our last journey. Thus, Tia Stephanie Tours will soon be offering, “The Arts, Crafts and Textiles of Yucatan” tour. 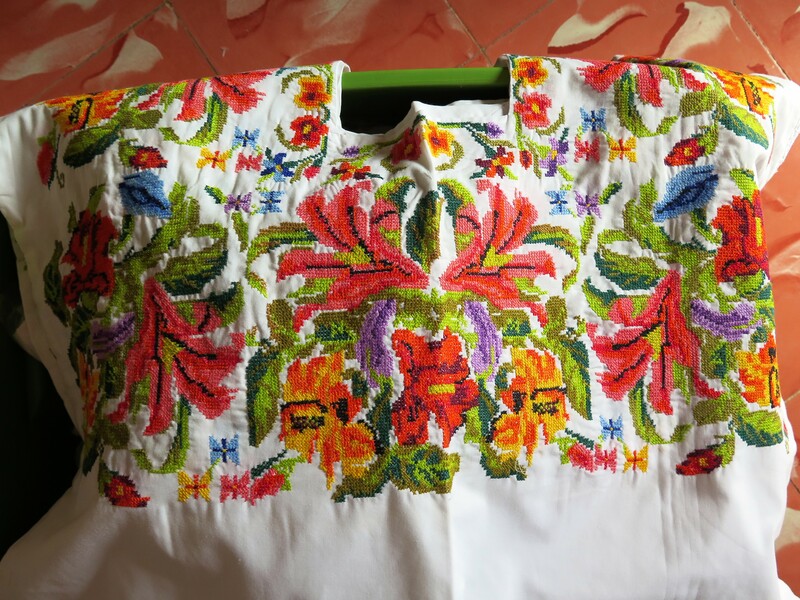 We took extra time on our recent trip to explore communities such as Teabo, Mani and others to find women who continue to produce the fine huipiles in the cross stitch embroidery technique they call, “hilo contado”, or counted thread. We were very excited to find some of the finest examples of this technique and work and we look forward to taking travelers there! Exploring Markets, Plazas, Parks and Neighborhoods! From the Mercado Lucas de Galvez, to the Santa Lucia Park, Santiago Neighborhood in Merida, there are many nooks and crannies to explore. Further afield we love exploring the Golden City of Izamal, as well as Acanceh and Valladolid. 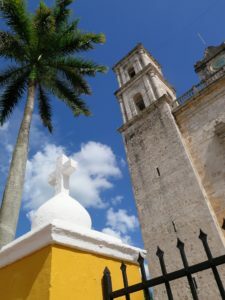 Layers of history are seen in ancient Maya sites and later Franciscan churches of the colonial period, reflecting the multiple phases and history of the Yucatan Peninsula. We invite you to explore and fall in love with Yucatan, just as we have. Whether you join us on a group departure or would like us to design a custom trip for you, your friends or family, we hope you go to Yucatan. You will love it and want to return again and again. Just don’t wait so long between visits! The Flavors of Yucatan: Available Anytime: Tell us when you’d like to go! Yucatan for Families: February 17-24, 2017, in partnership with Journeys International , leaders in Family Travel! 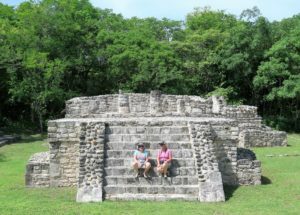 Ancient Maya: This is a sample trip! There are many ways you can explore the narratives of the Maya past, from the alliances and rivalries, from the highlands to the lowlands, from the Pre-Classic to Post Classic. We invite you to learn about the history of the Maya. Custom Trip: Let us know when and where you’d like to go. We’d be happy to organize your trip to explore the people and places of Yucatan!